Promontory Point Rehabilitation (PPR) provides post-acute care in a distinct environment. Today’s healthcare consumers demand care delivery beyond the current long-term care approach. In fact, the majority of those qualified for a Medicare short-stay choose to go home despite safety concerns, due to the undesirable alternatives. Also, many physicians avoid recommending a long-term care facility because of the frequent dissatisfaction of prior patients. Transitional care is for patients who require a regimen of therapy or skilled nursing care following an acute hospital stay. It is ideal for patients who no longer need to be in a hospital but are not ready to go home. We care for adults of all ages who are recovering from surgery, illness or injury, which include: orthopedic surgery, stroke, cardiac or open heart surgeries, heart disease, amputations, diabetes, patient’s requiring IV or wound care, dialysis patients, post-operative observations, plastic surgery recovery, and recovery from an acute or extended illness. Promontory Point Rehabilitation has the clinical skill sets to manage these post-acute issues and allow the patient to navigate the course home in a short period of time. The Promontory Point Rehabilitation mission is to provide the greatest transitional rehabilitation and skilled nursing care experience in a distinct 5-star setting. Promontory Point Rehabilitation does not discriminate against anyone on the basis of race, color, national origin, disability or age. Tyler Fackrell, originally from Idaho Falls, ID joined us in February of 2016. He was administrator of two other facilities, one at 154 beds and the other at 97 beds in Tennessee and Virginia respectively. He is extremely excited to be back home and work with such a wonderful group of nursing staff and therapists. His focus is to keep customer care of utmost importance and maintaining Promontory Point as the number one place to receive rehab in the region. Tyler received his bachelor’s degree from Brigham Young University-Idaho and received a Master’s degree in Health Sector Management from W.P. Carey School of Business at Arizona State. Tyler enjoys motorbiking in the mountains and being with his family. He is father to 4 beautiful children, ages 10, 7, 5, and 3, and husband to a wonderful wife of 12 years, Jenny Fackrell. He appreciates her support in all his endeavors. Tyler plans to be with Promontory Point for many years. 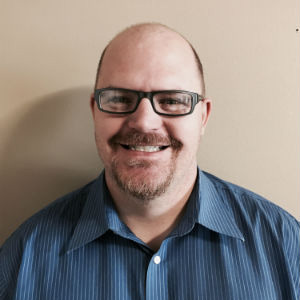 Ervin Hansen was born and raised in Idaho Falls and has lived here all of his life. Ervin went to Idaho State University, graduating in 2009 with a Bachelor’s degree in Healthcare Administration. 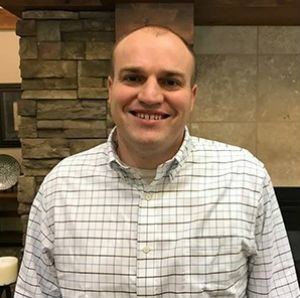 Since his graduation, he has spent time at Idaho Home Health and Hospice as the business office manager from 2009 to 2013. Since 2013, Promontory Point has been privileged to have him as the Social Service Director then as the Marketing/Admissions Director. Prior to his healthcare education and experience, he was a supervisor at HK construction. Ervin has been married to his high school sweetheart for 18 years and has 2 children, Max and Sam. Ervin and his children enjoy working and driving classic automobiles, his favorite classic that he owns is a 1954 Chevrolet pickup truck, often driven to Promontory Point. He is regularly in classic car shows as a participant and spectator. He has even taken some of our patients around in his classic cars. Catie Canavan is an “Idaho Transplant” originally from upstate New York and traveling with her husband during his Naval service. She received a Masters of Science in Occupational Therapy from The Sage Graduate School in Troy, NY. Catie has extensive experience in adult care including ICU, acute rehab, and skilled nursing care. She is skilled in custom wheelchair evaluations and the paperwork that comes with them! As a member of the Promontory Point Rehabilitation Team, Catie continues to grow the therapy program offered here. Outside of work, Catie, her husband and their twin teenagers enjoy all the unique experiences Idaho affords them. During the winter, you can often find her supporting the Idaho Falls Eagles hockey teams. Her son is an active player and referee, husband a coach and referee, and she is a parent representative on the board of directors. During the fall and spring, Catie can be found at volleyball courts cheering on her daughter’s team. When Catie and her husband aren’t supporting their children’s athletic endeavors, they are often found hiking, camping, and paddle boarding around the region as well as animal spotting in Yellowstone and Grand Teton National Parks. Catie’s family is proud to call Idaho home. Deidra Romero, RN, BSN, was born and raised in Eastern Idaho. She joined Promontory Point Rehabilitation as an LPN in May of 2011. Deidra worked primarily during the day for the first few years, and enjoyed the opportunities for learning and growth. With encouragement and support of Promontory Point nursing staff, she was able to change her work schedule to full time night hours, in order to attend school during the day. She obtained her degree as an RN in 2015. Thereafter she worked closely with nursing administration as a nurse manager. When the opportunity arrived to work as the Director of Nursing at the beginning of 2018, she accepted the challenge. The staff at Promontory Point love her and her servant-leadership style. She is quick to help the nursing staff wherever there is a need, and enjoys the opportunity to build meaningful relationships with staff, patients, and family members. Deidra first began working in a healthcare setting as a housekeeper in 2004. She took a position at a nursing home hesitantly, as she was afraid of “rest homes” after visiting a great aunt as a small child. After seeing the great strides Ashton Memorial had made to change the perception of long term care, she took the opportunity to begin working as a CNA. With the support of outstanding nursing leaders within the community, a grant was made available for rural CNA students to enroll in an outreach LPN program. It was through this unique program, and the continued support of the nursing community, that Deidra was able to obtain an education while also gaining valuable patient care experience at work. She worked as a CNA for 4 years before graduating from Eastern Idaho Technical College in 2008, and continued working as an LPN for the next 7 years until obtaining a Bachelors of Science in Nursing, Registered Nurse degree from Idaho State University in 2015. Deidra is the mother to two energetic boys, ages 6 and 8, that keep her on her toes. She enjoys spending time outdoors. Her favorite activities are motorcycle riding, boating, wakeboarding, and snowboarding. 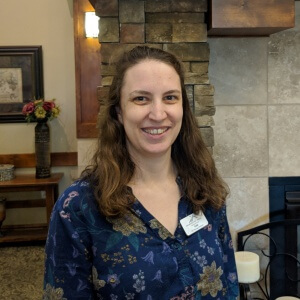 Deidra has enjoyed working at Promontory Point for the last 7 years, and looks forward to spending many more years with PPR, working closely with patients, family, and staff to help our patients regain their health.